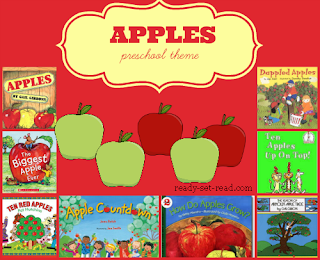 Fall is a wonderful time to visit an apple orchard, make applesauce, or read a great book about apples! 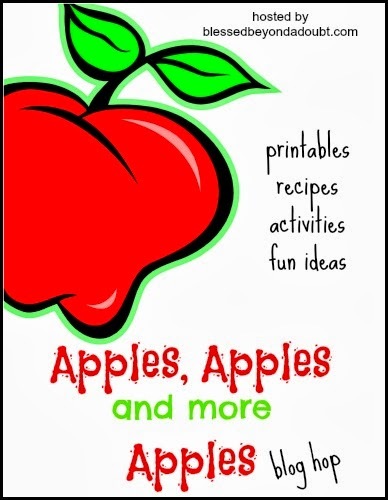 There are so many fun apple themed crafts and activities for kids. My boys have been loving learning about apples this fall. I'm excited to get to share some of our favorite books, activties, and my apple unit. I'll be updating this post all season, so stop by for a complete list of all of my apple themed activities. I'm also participating in an apple linky party with a group of bloggers. We have over 20 mom bloggers connecting to bring you fun, festive, and creative apple ideas! Also, we would love for you to link up any apple related ideas you would like to share. 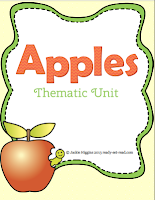 The topic of apples is great for a preschool theme. Stop by and check out my preschool themes for the entire year! Craftivity to use with the book, "10 Apples up on Top" by Dr. Seuss-- this includes all of the templates and a header for your bulletin board. You can purchase this unit in my Teachers Pay Teachers store. 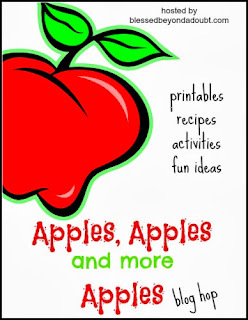 I'm excited to participate in an Apples, Apples, Apples Linky Party hosted by Blessed Beyond a Doubt. Share your apple themed ideas or find more great resources below. Apples always make a good learning theme for younger kids. It's fun to see so many ideas in this linky!